During Hawaii’s early days as an American state, the late U.S. Senator Daniel K. Inouye would boast about its high voter participation rate. But since that mid-20th-century high watermark, Hawaii has fallen behind the mainland in measures of civic participation and engagement. Its voters ranked dead last among the 50 states in the 2016 presidential election, and, despite its reputation as a warm, personable place, Hawaii ranks low in charitable activity, volunteering, and public service. 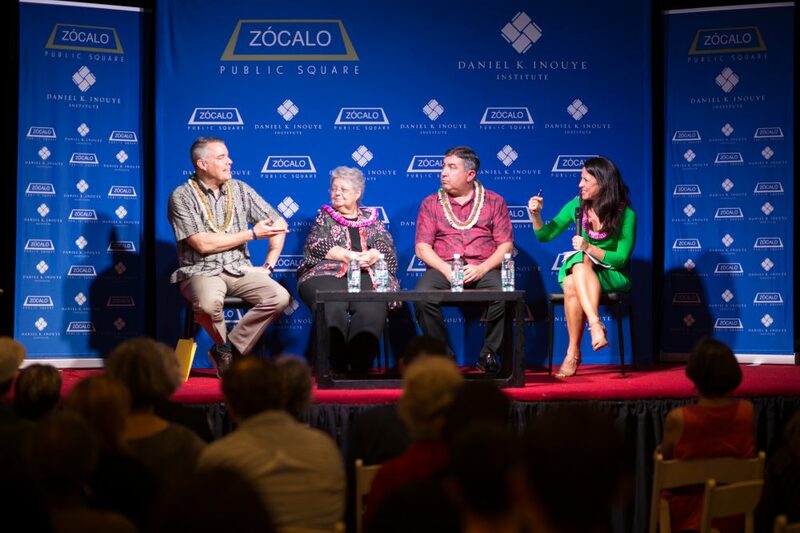 “If We Love Hawaii So Much, Why Don’t We Vote?” was the question in a Zócalo/Daniel K. Inouye Institute “Pau Hana” event at Artistry Honolulu in Hawaii’s state capital. 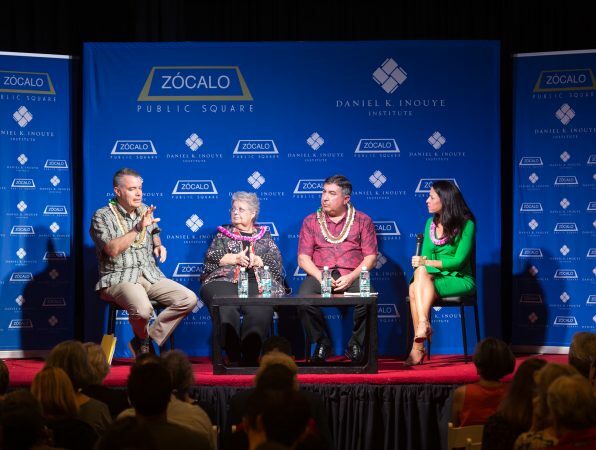 Moderator Gina Mangieri, an investigative reporter for KHON2 in Honolulu, asked panelists how to explain the plummeting voter participation rate. Over an hour, many suspects were blamed for Hawaii’s statistically dismal performance in civic affairs: cellphones that distract young voters from interacting with live human beings; partisan loudmouths who hog the microphone and monopolize public forums; elected officials who regard their constituents as mere props to be used at will, then tossed aside after election day; the state’s indigo-blue political culture, which makes it nearly impossible for non-Democrats to win statewide office; and the fun-packed lifestyles that encourage many Hawaii residents to hit the beaches rather than the voting booth. “You’re one or the other; there’s not the average person who’s willing to step up and state your opinion”—a dynamic in which small groups of angry hyper-partisans can drown out quieter, less strident, more thoughtful voices, Ankersmit said. 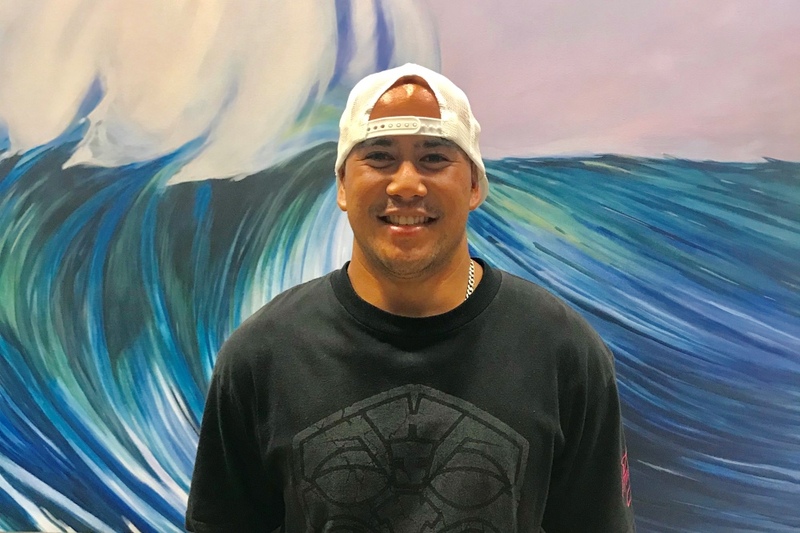 Randy Perreira, director of the Hawaii Government Employees Association, the state’s largest union, said that voting isn’t a problem among his 42,000 members. But he cited a basic ignorance among voters of how their political system is supposed to work—and why it doesn’t. “I think people today don’t understand the different jurisdictions of government, they don’t understand how it works,” Perreira said. 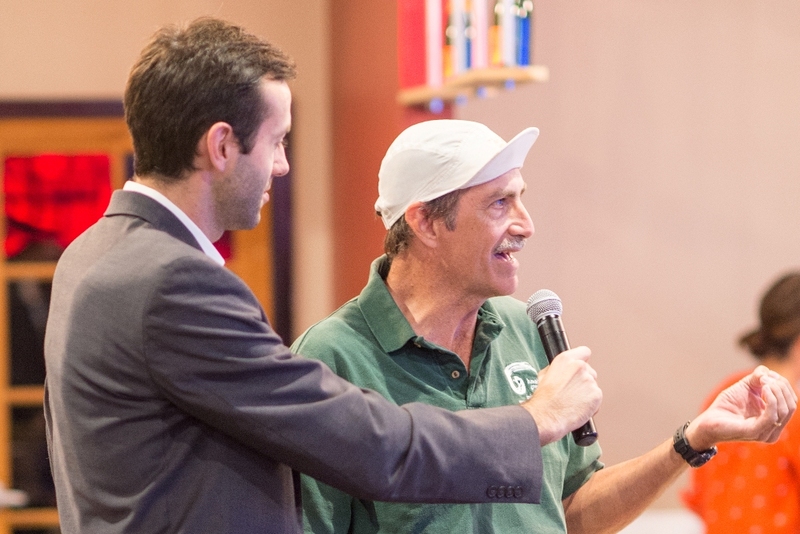 Mangieri turned next to Pete Peterson, dean of the Pepperdine School of Public Policy in Malibu, California, to ask which mainland states have been most successful in finding ways to engage the public as active citizens. 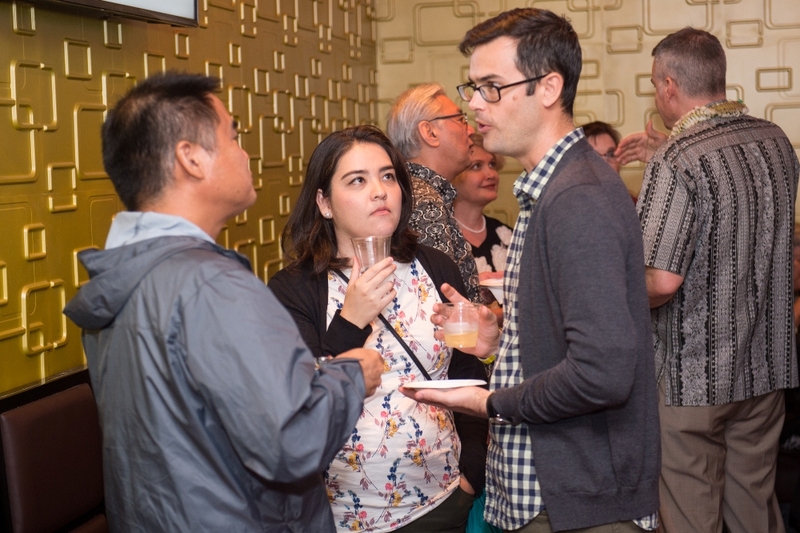 Peterson confirmed that sagging civic engagement is a national form of malaise, citing a recent Malibu mayoral election for which voter turnout was a piffling 20 percent. Peterson said that younger voters, in particular, have shown a disinclination to vote, and that regions with greater ethnic diversity also tend to have lower voting rates. 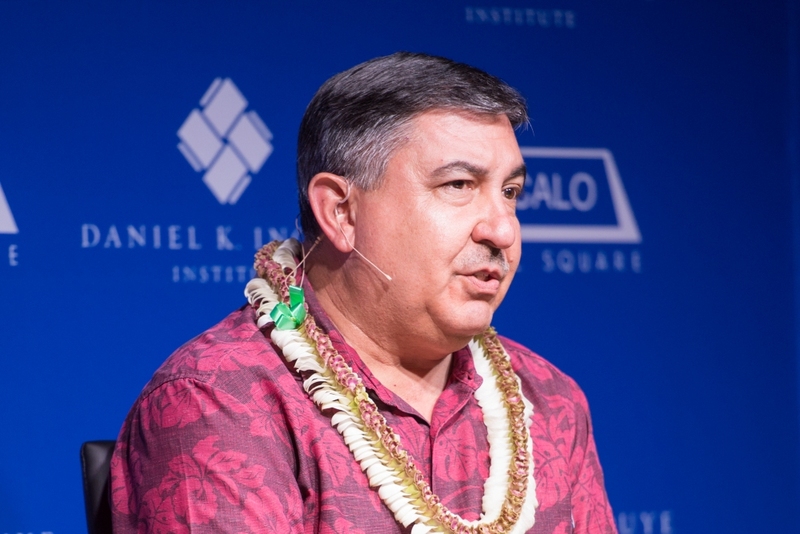 Hawaii’s relative youthfulness, as well as its ethnic mix, contribute to its low turnout, he said. Later, Peterson said that voters have been turned off by indifferent and unresponsive elected officials who don’t seem to pay attention to what their constituents say, or who ask for input only after an issue is already a fait accompli. He recalled, for example, that many local town hall meetings on the Affordable Care Act were held after Congress already had voted back in Washington. Local constituents who turned up to give their representatives an earful realized that no one was taking notes, and their opinions weren’t really being tallied. Peterson said that California has tried to encourage voter participation by automatically granting voter registration to people receiving their driver’s licenses. Voting by absentee ballot also has helped swell electoral participation in some parts of the United States, the panelists noted. But this kind of technical, procedural tinkering only “dances around the edges of the problem,” without really changing deeper modes of behavior, Peterson said. The panelists agreed that elected officials, educators, and others need to do a better job of motivating voters by helping them perceive the impact that particular issues can have on their own lives. But that’s a challenge in a state—and, it seems, a nation—that votes for people and personalities more than issues. “That’s how former wrestlers and Arnold Schwarzenegger and perhaps our president got elected,” Perreira said. The panelists proposed some basic measures that could encourage more young voters to get active. Ankersmit, who grew up in Chicago, said that her family used to vote together, a hands-on approach that she has instilled in her own children. The panelists also agreed that, in order to get civically engaged, people need to believe that going to a town hall meeting or casting a vote will yield practical, personal benefits, such as helping to land a job so that they can move out of their parents’ basement, or help their grandmother get the medicine she needs. When it came time for audience questions, a retired police lieutenant wanted to know whether an increase in electronic voting could provide a partial antidote to voter apathy. 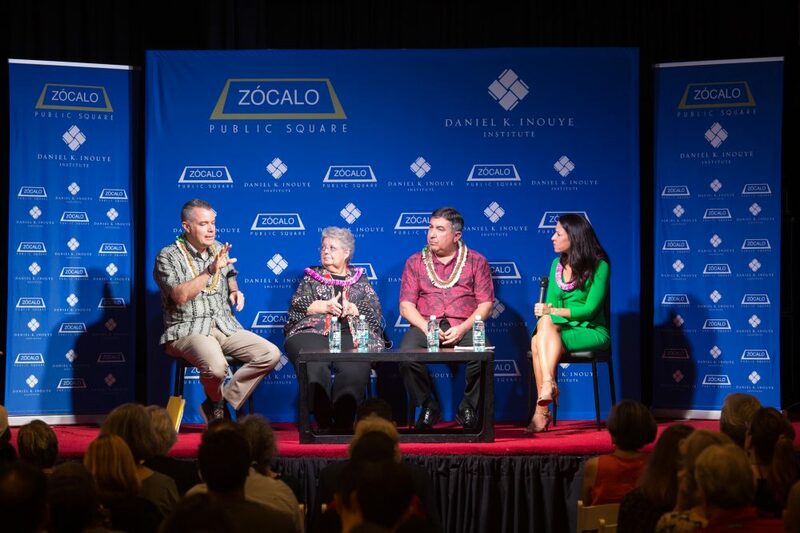 The panelists wrapped up by urging Hawaii residents and non-residents alike: get informed; do your part; believe you can make a difference. How Do We Get Hawaii to Vote More, Volunteer More, And Give More? Randy Perreira, director of the Hawaii Government Employees Association. 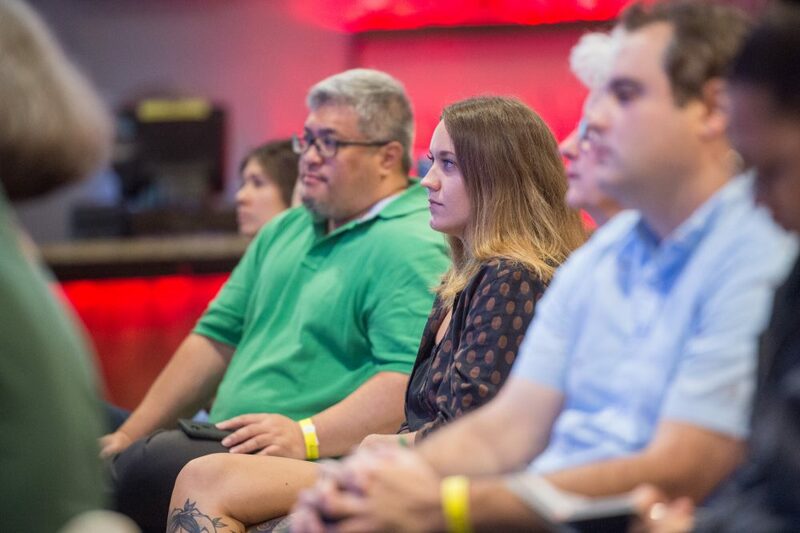 The audience at the Artistry Honolulu. 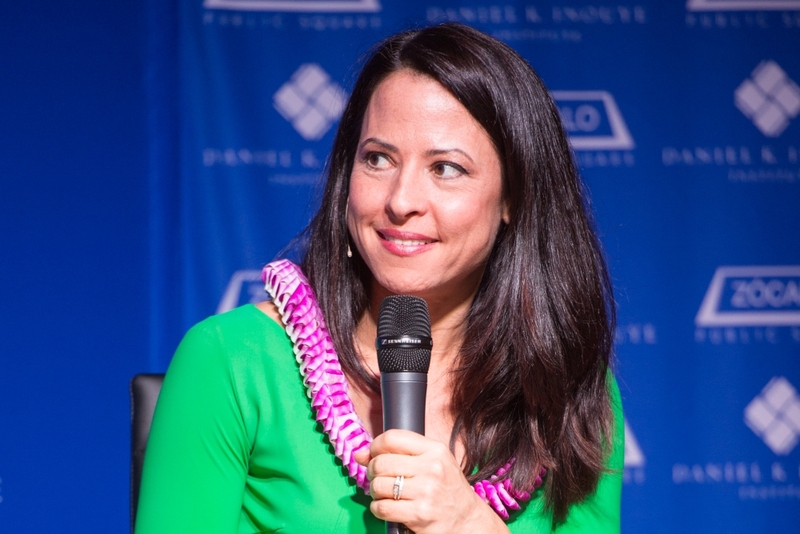 Gina Mangieri, KHON2 investigative reporter.